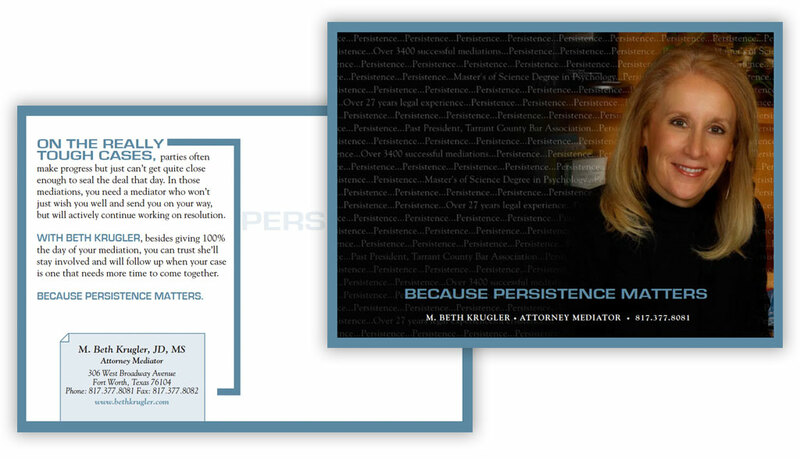 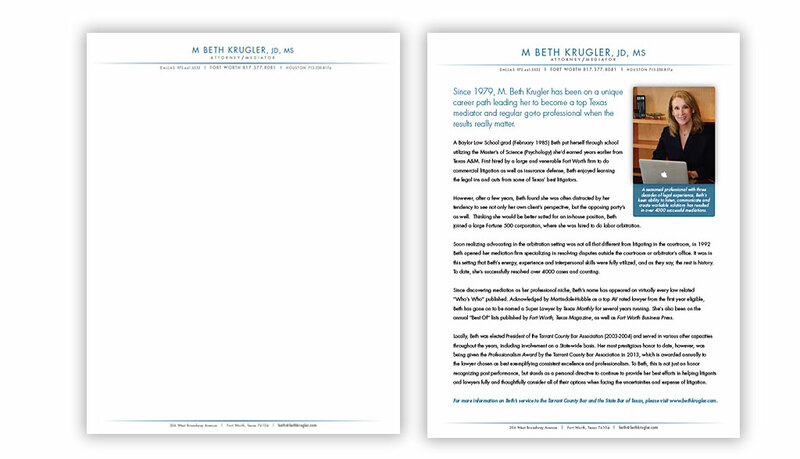 Since 1979, M. Beth Krugler has been on a unique career path leading her to become a top Texas mediator and regular go-to professional when the results really matter. 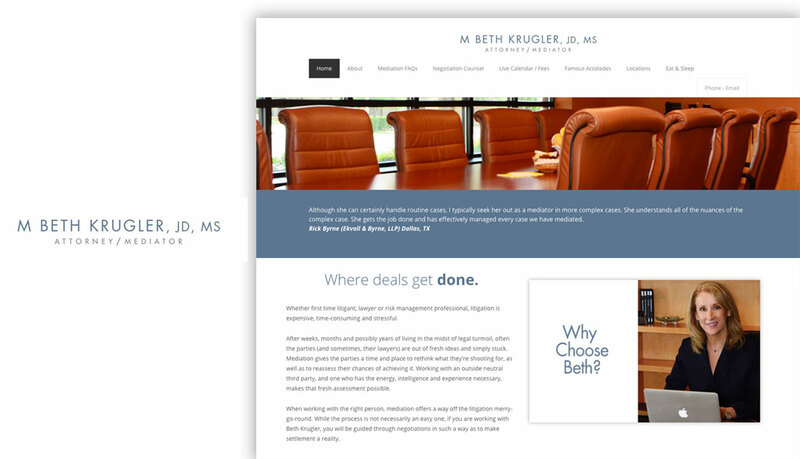 Locally, Beth was elected President of the Tarrant County Bar Association (2003-2004) and served in various other capacities throughout the years, including involvement on a State-wide basis. 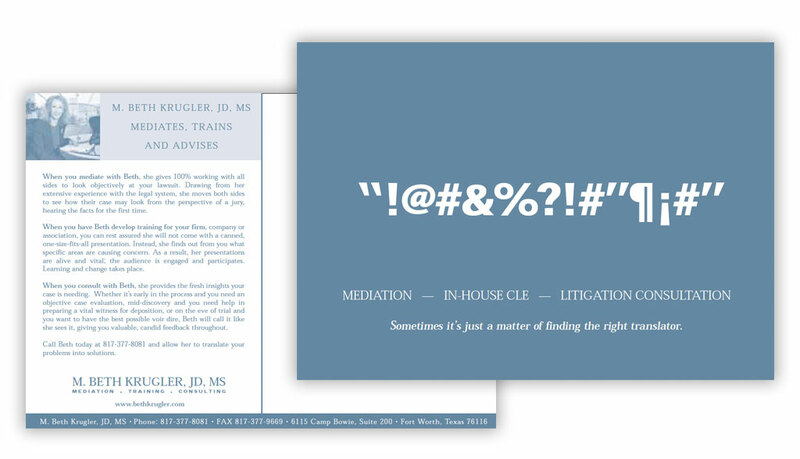 Her most prestigious honor to date, however, was being given the Professionalism Award by the Tarrant County Bar Association in 2013, which is awarded annually to the lawyer chosen as best exemplifying consistent excellence and professionalism. 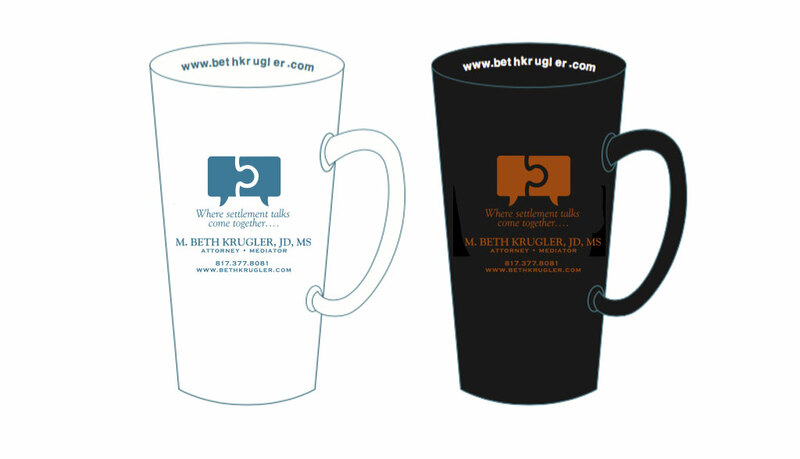 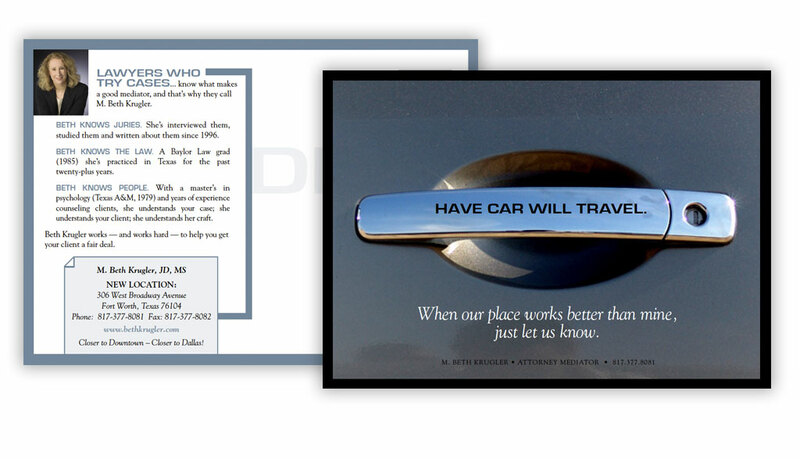 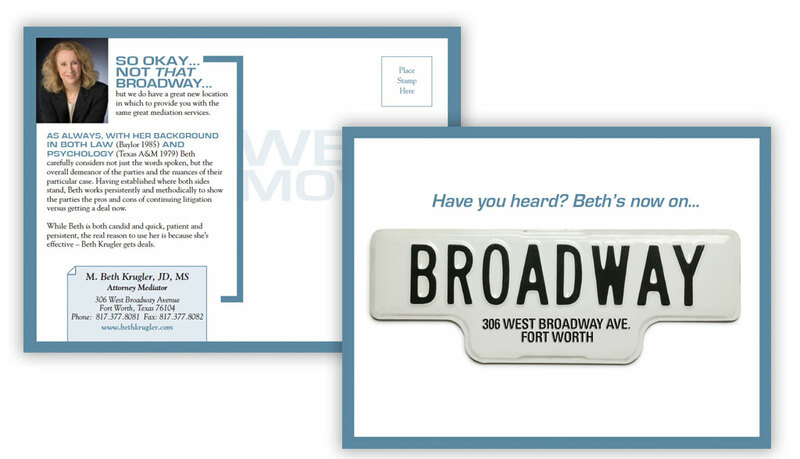 Empire has worked with Beth and Angie since 2001 providing a wide assortment of marketing and advertising solutions, including web site design & development, promotional direct mail postcards, logo design, branding and identity package materials, publication advertising, souvenir coffee mugs. 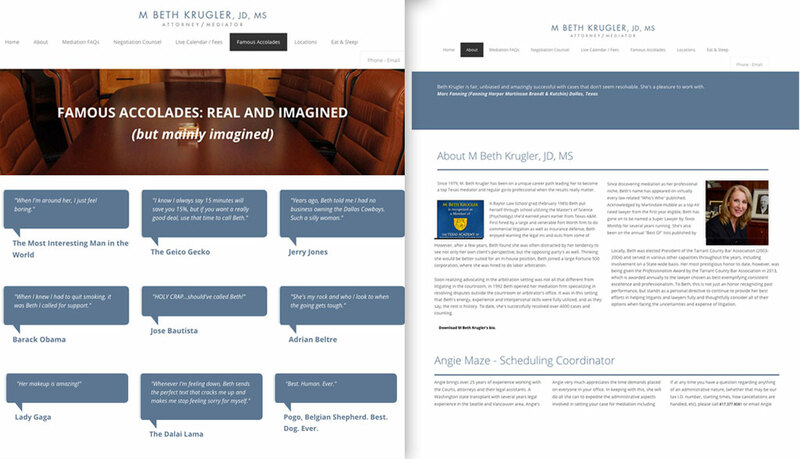 Empire has a great working relationship with Beth and Angie over the years and plan on continuing that relationship and enable Beth to strengthen and expand her mediation practice.